If there is one airshow everyone must visit, it is the Fighter Collection's "Flying Legends" airshow held at Duxford in July. 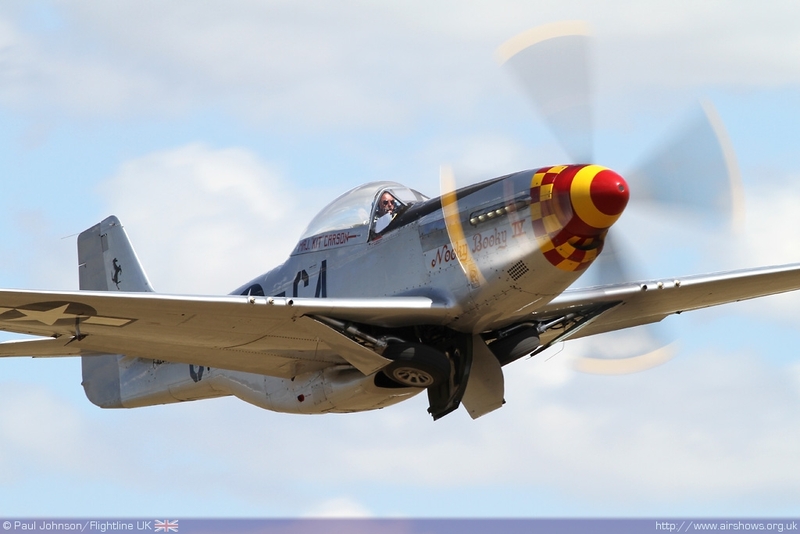 The show has become a by-word for flying excellence bringing together the most exotic historic aircraft and the world's best pilots for an amazing celebration of piston powered heavy metal. 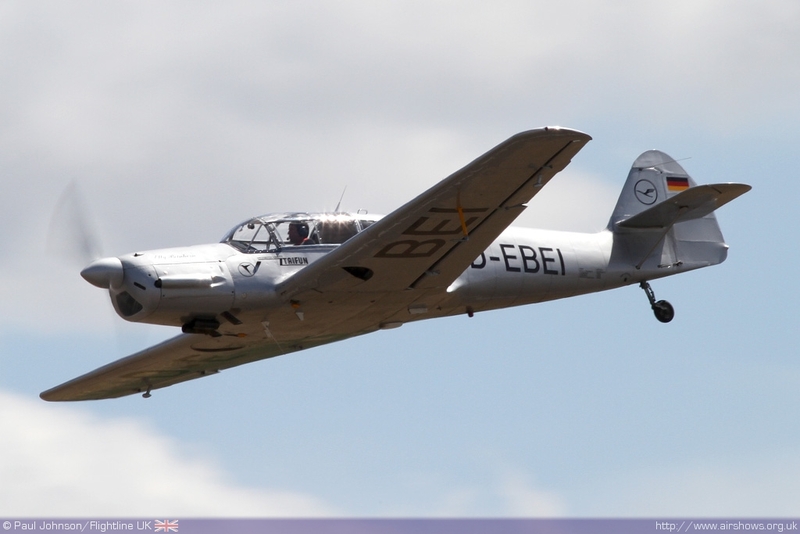 In 2010, the aircraft came from across Europe and pilots from even further afield. It never really matters what the exact line-up is, as you know you'll always witness something special! 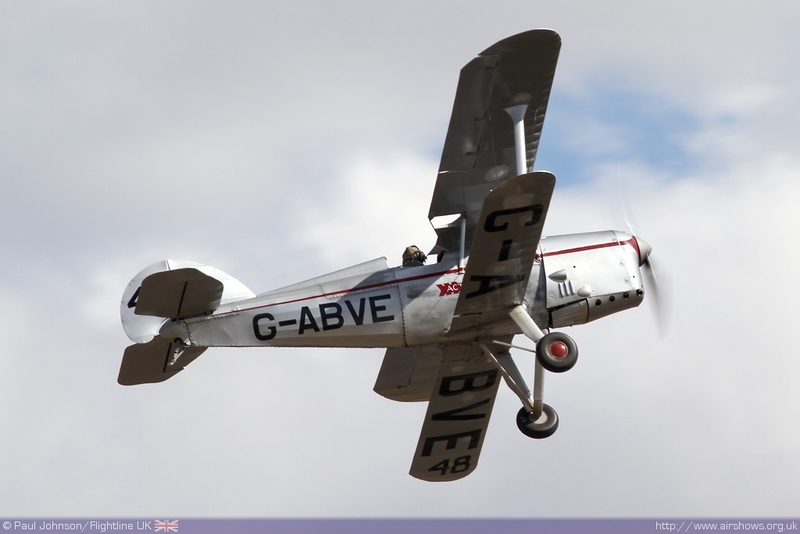 Paul Johnson/Flightline UK reports from Legends. All photography copyright of the Author. 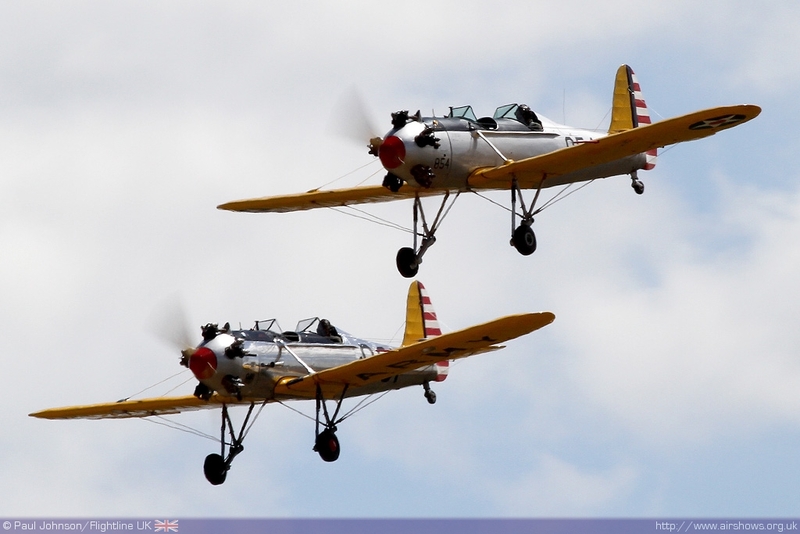 The Flying Legends airshow is always hard to review in words! 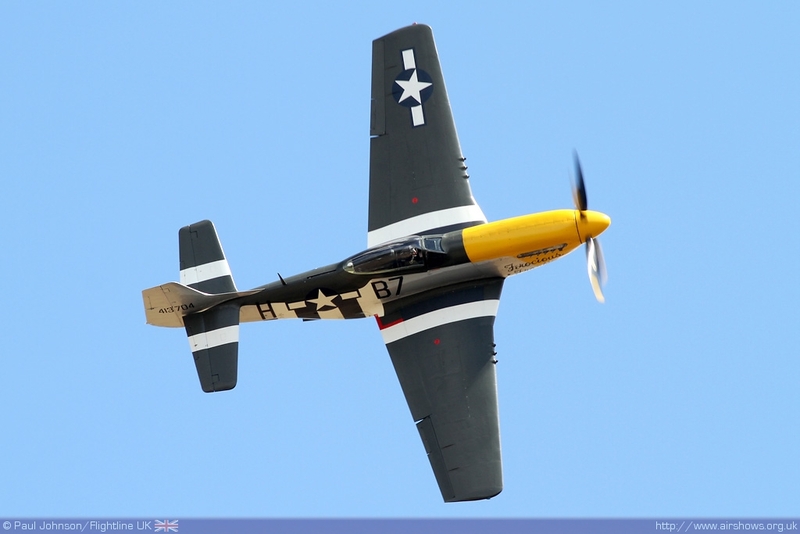 "Legends," as it's often known, is perhaps the one airshow each year that you know will achieve near perfection. The flying display is second to none with constant action. There is NEVER a dull moment during the three hour assault of the senses; aircraft are performing continuously. While the last item lands, the next item is taking off underneath an act already performing - the show's choreography is quite simply outstanding and no other airshow can come close. 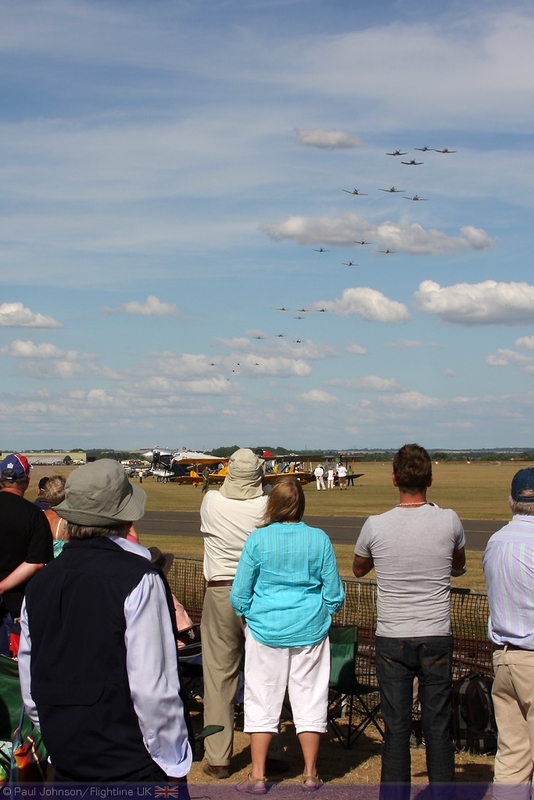 For many, this is the airshow of the year and it shows as the airfield is nearly always packed to capacity. Events don't just happen in the air. On the ground against the bacdrop of the Imperial War Museum there are historic aero engines and re-enactors mingle around the aircraft before the flying. The title "Legends" doesn't just extend to the machinery as many veterans from many different air arms attend swapping stories and signing memorabilia. 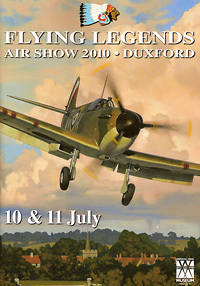 If there is one airshow a year that Duxford comes alive - this is it! 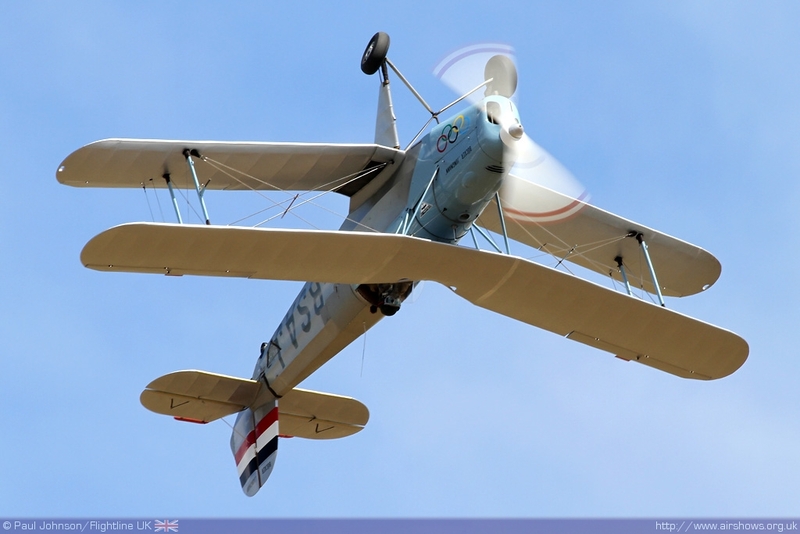 Flying Legends is organised by the Fighter Collection (TFC) and the Imperial War Museum. It's been a difficult few month for TFC with many of their UK registered aircraft grounded by the CAA due to paperwork issues. 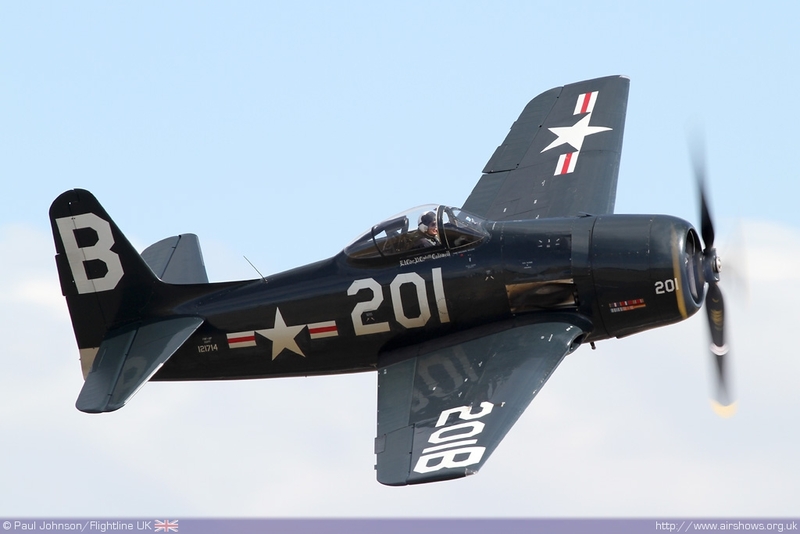 We're happy to report that their aircraft are starting to appear in the air once again as each one is cleared for operations, with the latest being the Grumman F8F Bearcat which has joined the Spitfire V, TF-51D Mustang and Sea Fury T20. The flying display is like nothing else in the UK. Aircraft rarely perform on their own. Instead they fly together as groups depicting various themes. 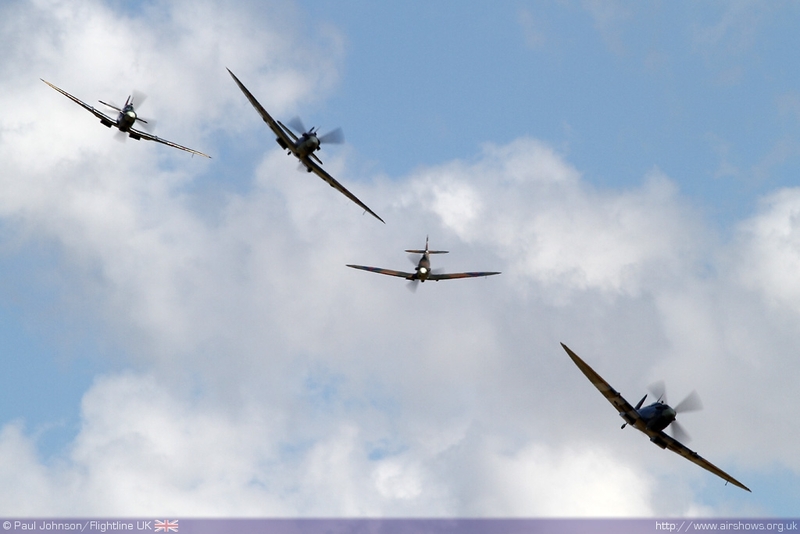 The opening sequence at a Legends airshow is nearly always based around Spitfires. 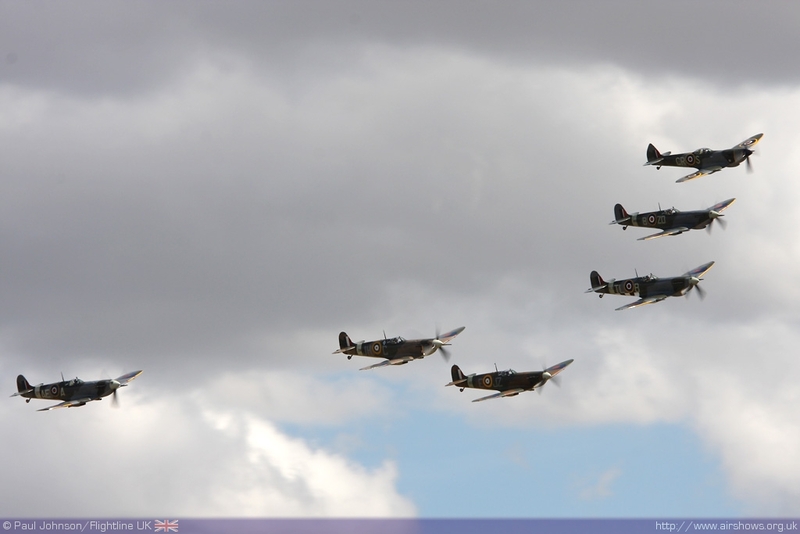 This year, eight Spitfires took part including a couple from overseas. It was great to see Corsair Warbirds Spitfire PRXIX which has now reverted back to more normal single prop configuration and wearing South East Asia Command markings similar to those worm by one of the BBMF's PRXIXs a few years ago. 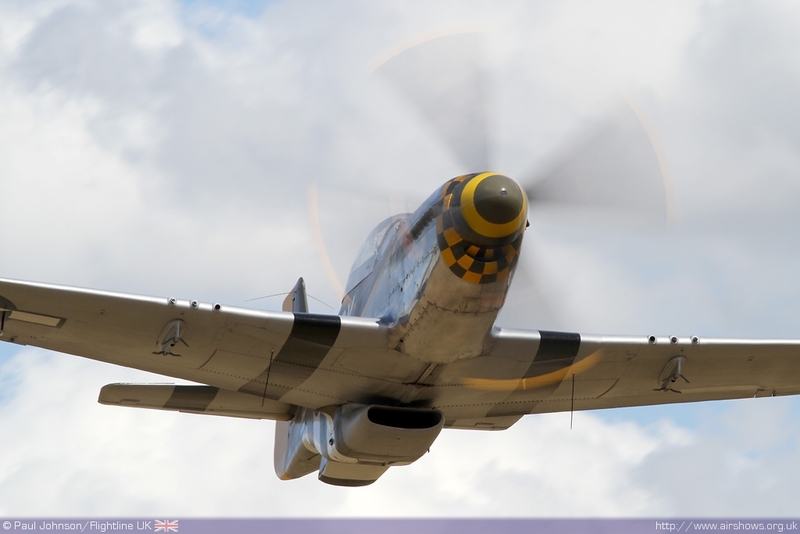 It was joined in the sequence by Max Alpha Aviation's Spitfire VIII. This aircraft is the ex-Robs Lamplough example and it has to be said to see a Spitfire wearing a German flag is slightly wierd! 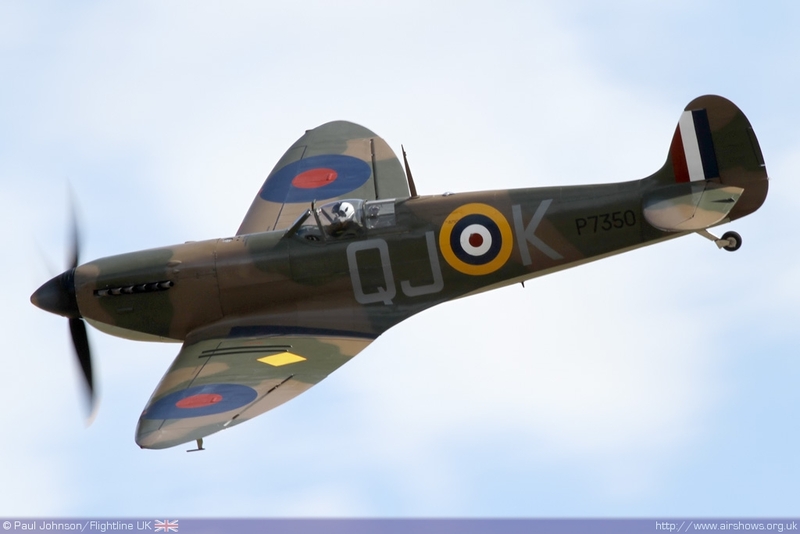 Further examples included Sheringham Aviation's Spitfire Ia as a a number from the Duxford operators wheeled around the wide open Cambridgeshire skies. It was perhaps a little dissppointing on Sunday that only one Hawker Hurricane took part from HAC. 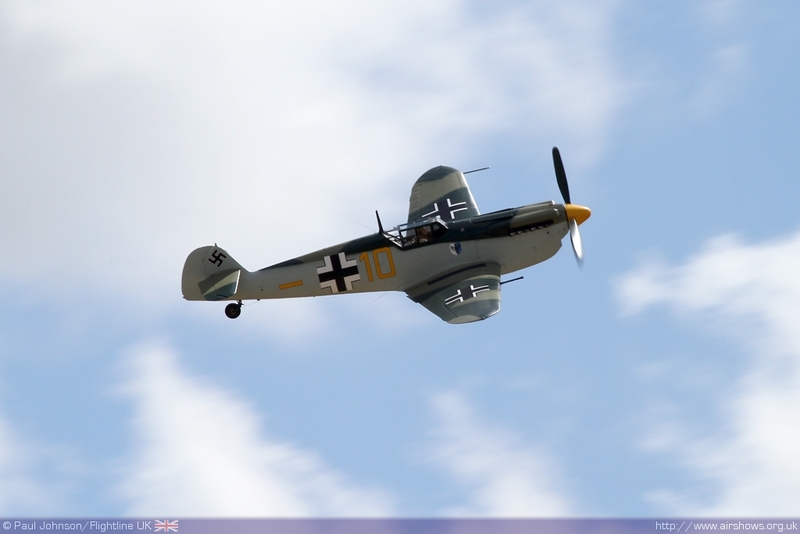 It provided a prelude to a dogfight display between Cliff Spink in Spitfire Ltd's Spitfire IX and John Romain in the Hispano HA-112-MIL Buchon which has now been fitted with the dummy guns it wore during the filming of "Battle of Britain." 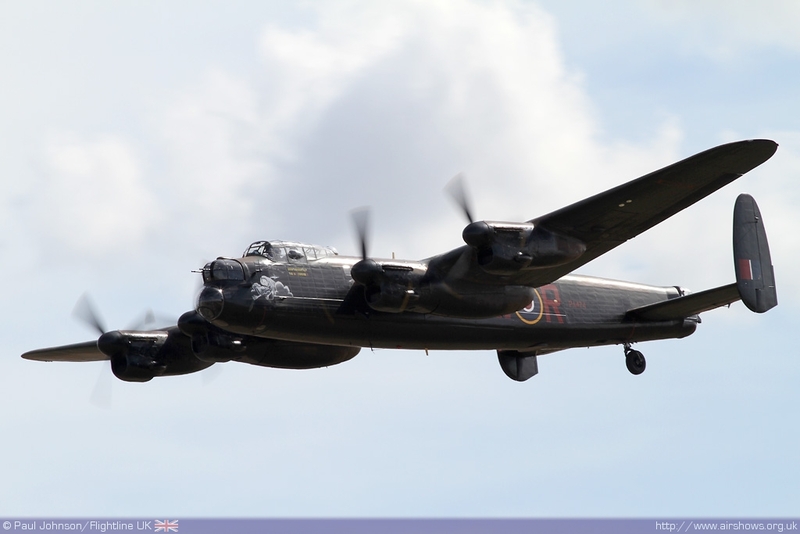 The Battle of Britain Memorial Flight also participated on a busy weekend which also took in a display at Capel Le Ferne for the annual Battle of Britain commemorations. 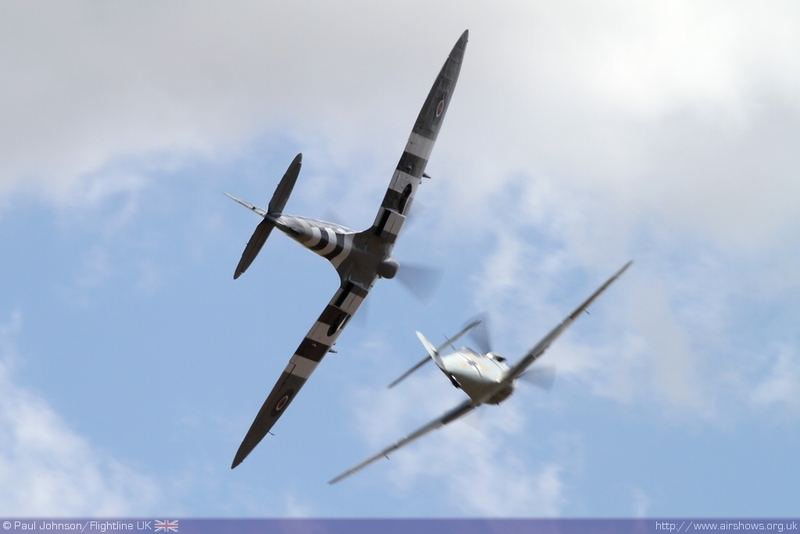 THe Spitfire IIa and Lancaster participated on both days while the Hurricane only displayed on the Saturday. The Naval sequence of displays was particularly pleasing. 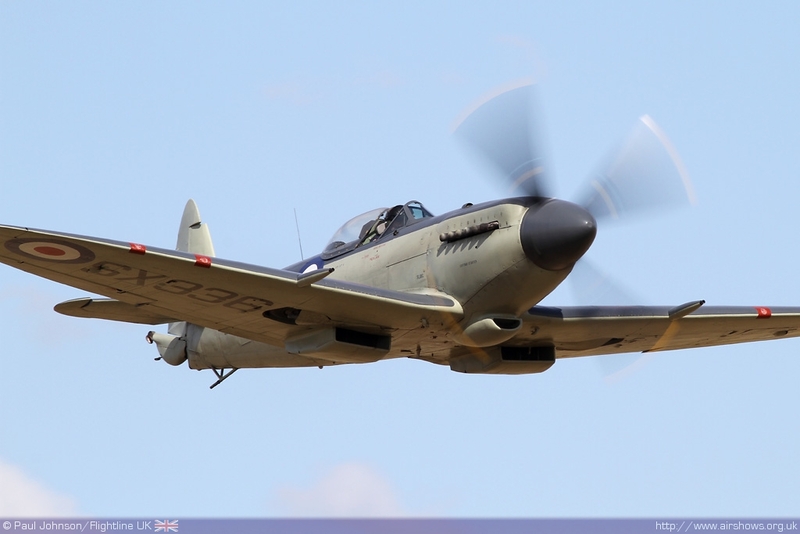 It opened with the very rare sight of three Douglas A-1 Skyraiders and Kennet Aviation's Seafire XVII charging around the skies. 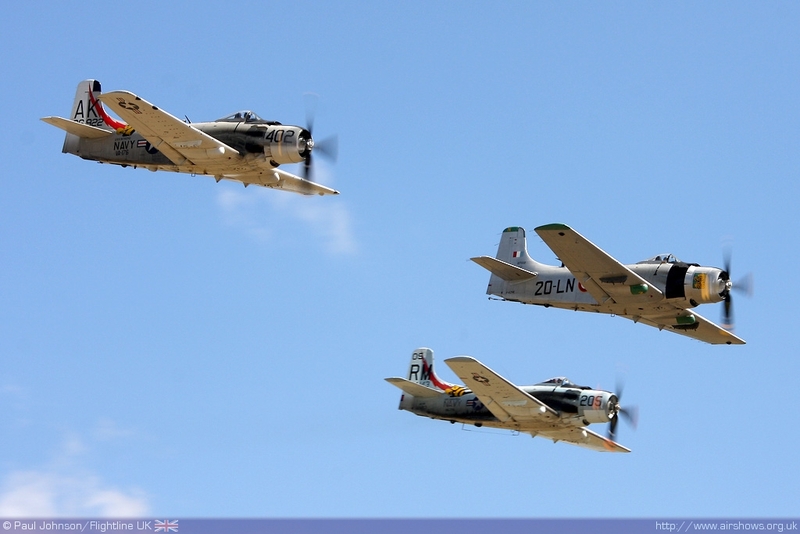 Two of the Skyraiders were from France from Jeam Salis and Vega Team/Skyraider Avignon while the third was the familiar Kennet Aviation example. 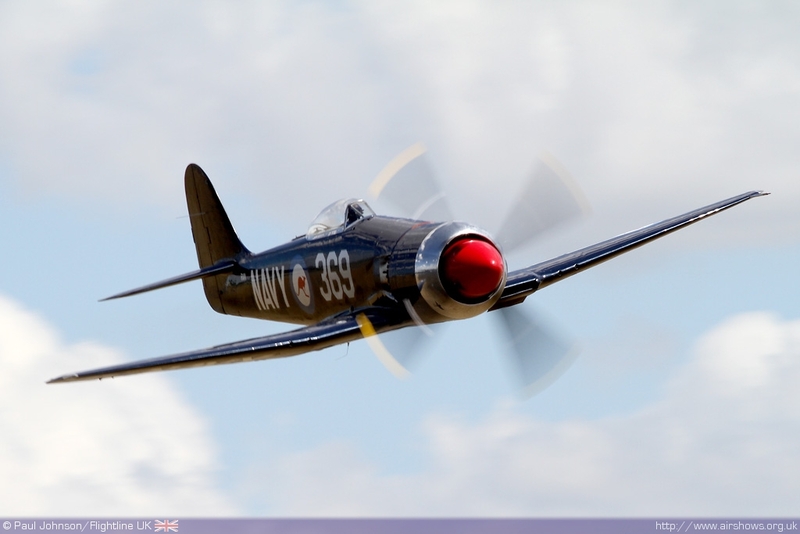 The Naval segment also celebrated the ultimate piston engine fighters ever produced. 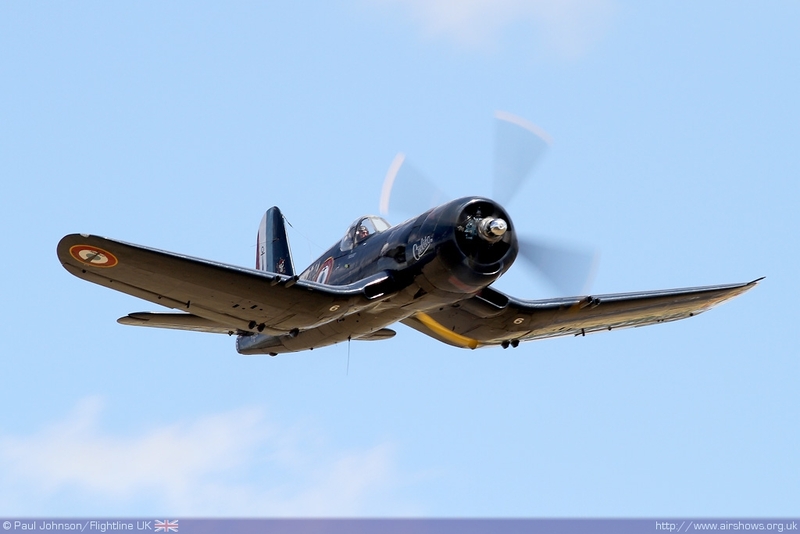 The Fighter Collection's own F8F Bearcat displayed alongside a welcome visiting F4U Corsair from MeierMotors. 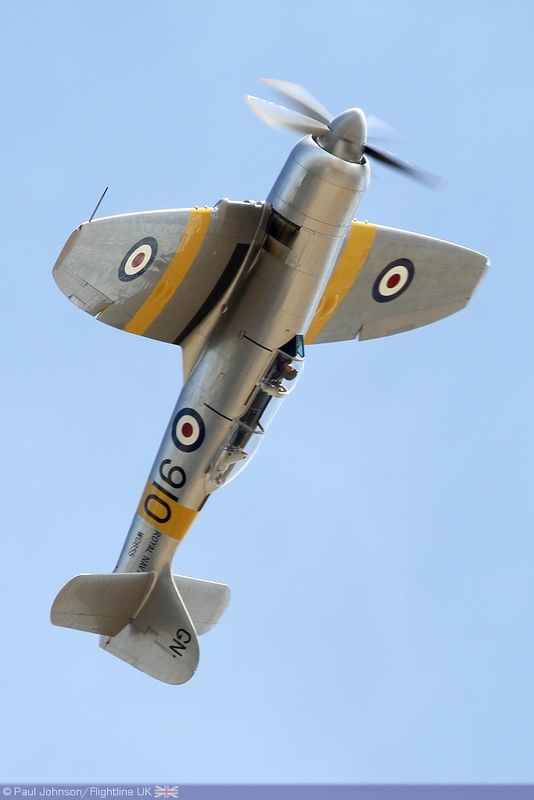 However, one of the star displays for your author was the pair of Mistral Warbird's Hawker Fury ISS and TFC's Hawker Sea Fury T20. The two Furies were displayed to their full advantage with the Pratt & Whitney powered Fury ISS performing some amazing zoom climbs at the end of it's high speed passes. 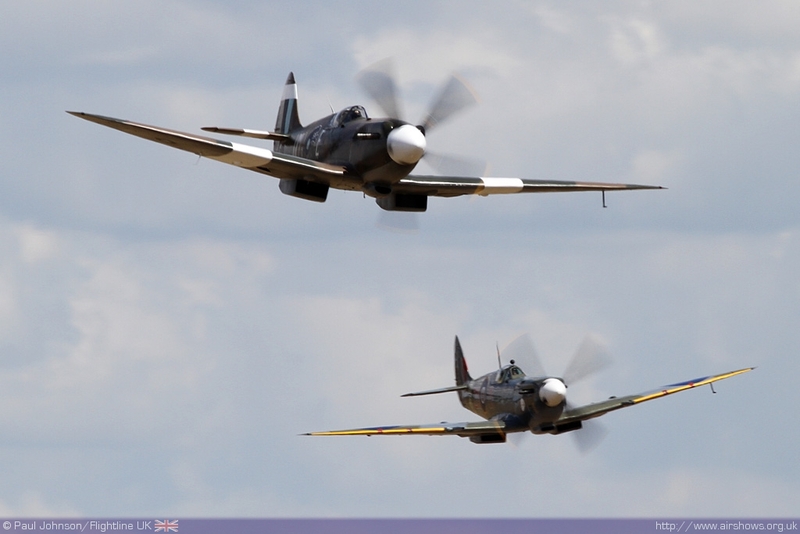 The noise of these powerful warbirds charging about was pretty awesome too! 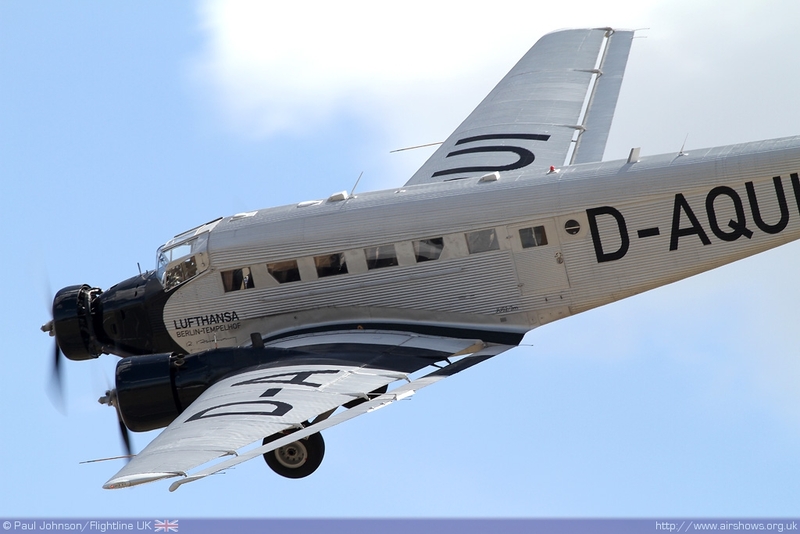 Lufftwaffe aircraft were slightly less well represented this year. 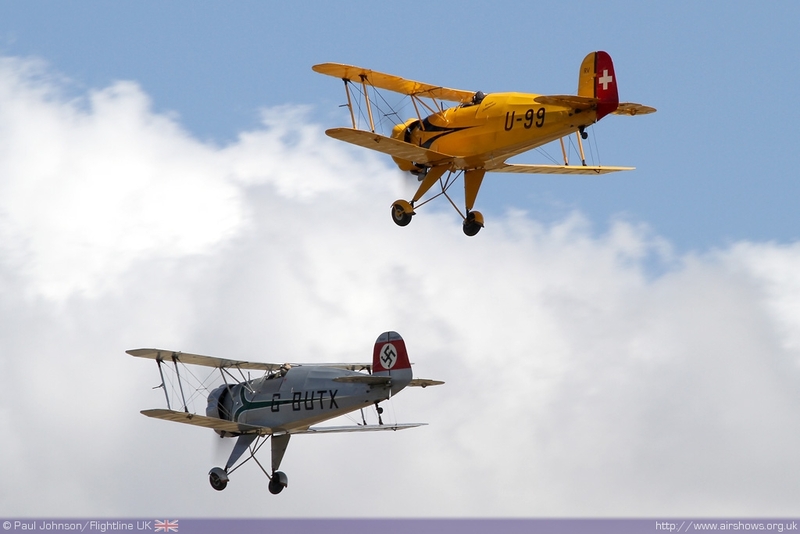 Apart from the Buchon which appeared with the Spitfires, there was the usual collection with Anna Walker performing a delightful aerobatic routine in the Bucker Jungmann, a pair of Bucker Jungmeisters and the Lufthansa pair of Junkers 52 and Messerschmitt Me108 Taifun. 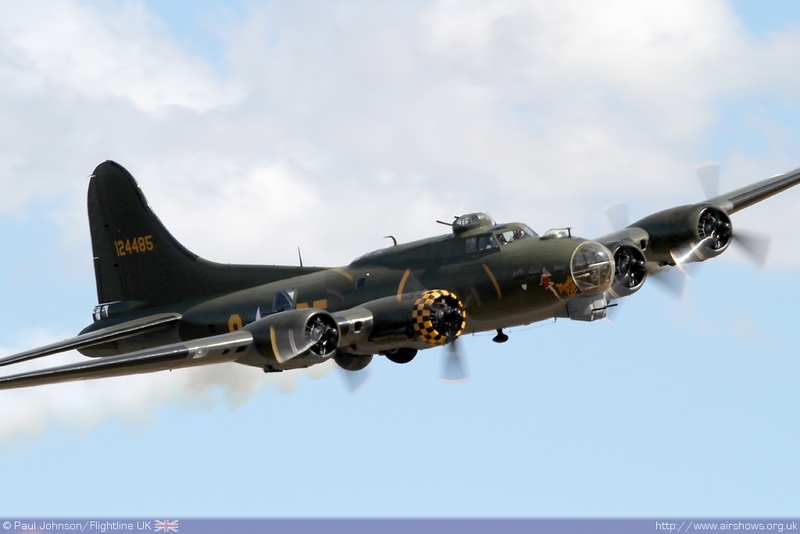 The United States Army Air Force featured well in the flying displays. There were welcome appearances by the Old Warden based Ray PT22 Recruits and a charming display by a pair of Piper L4 Cubs. The latter type is often overlooked by airshows but it did play a very important part over the Second World War battlefield. 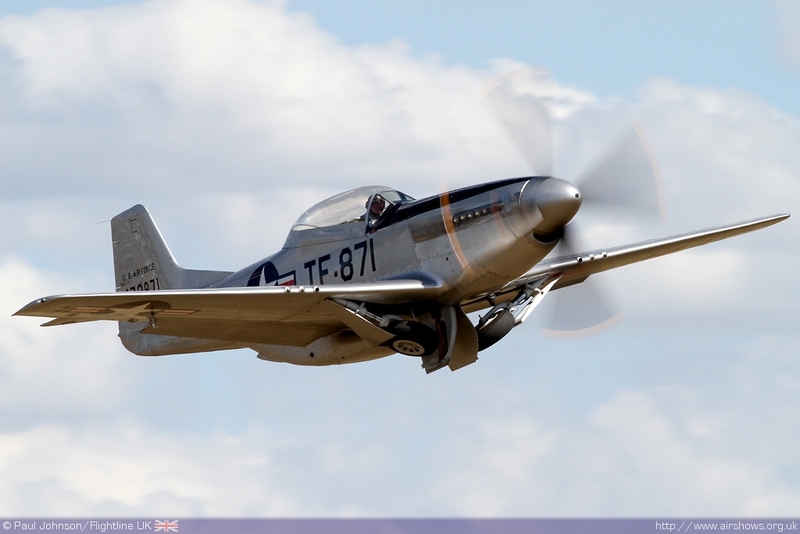 The Mustang "Stampede" has always been a highlight of Flying Legends airshows of the past. For some reason, this year is was a little too distant. 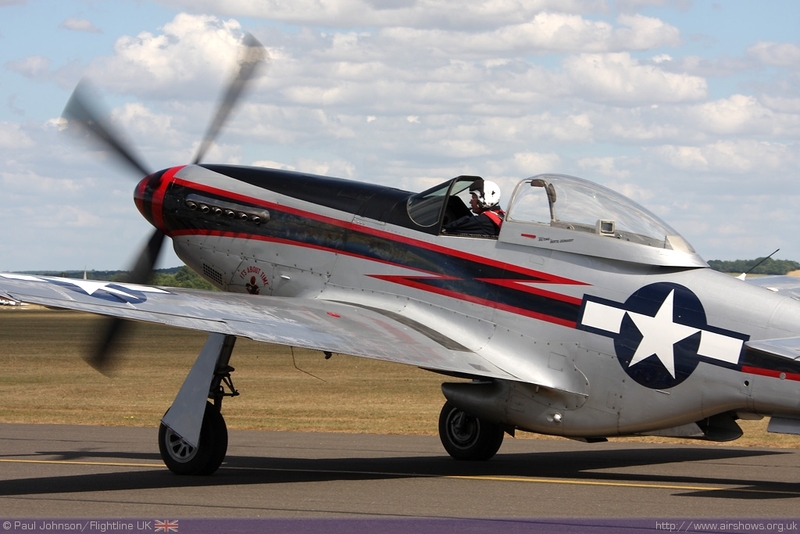 There were some real stars within in though with the Swedish based Cavalier F-51D Mustang alongside MeierMotors newly acquired TF-51D Mustang. 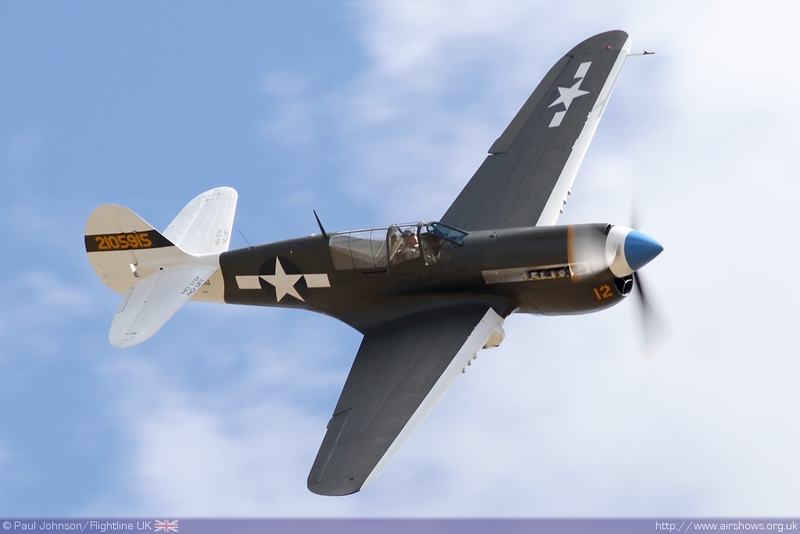 The Mustangs were joined by the P-40N Warhawk from Christian Amara. B-17G Flying Fortress Sally B also displayed alongside OFMC's P-51D Mustang flown by Alister Kay, which apart from the BBMF's Lancaster, was the only Bomber at the show. Away from the noise of the heavy iron, there was a delightful sequence of classic British types. Highlights included a recreation of the Kings Cup Air Race with the stunning Percival Mew Gull, Arrow Active II and a Miles Magister. There was also a nod to Bristol Mercury powered aircraft with the Shuttleworth Collection's Westland Lysander and Gloster Gladiator. 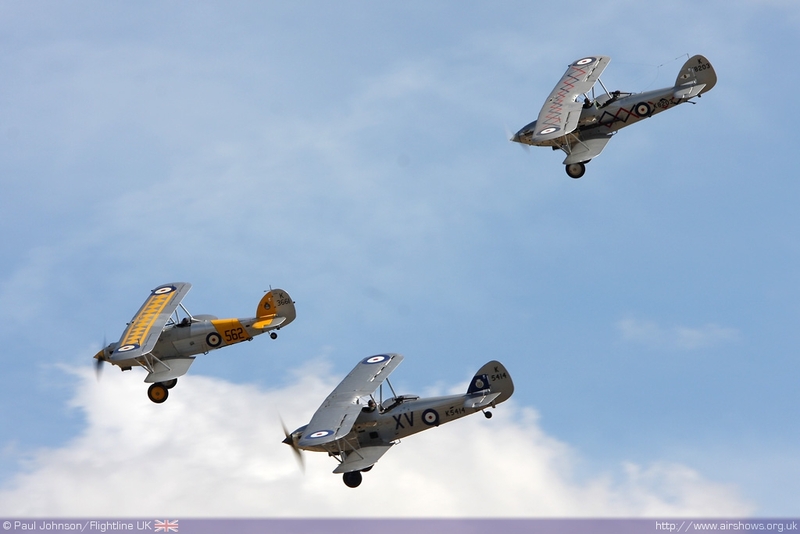 However, the star turn was the formation of classic Rolls Royce Kestrel powered Hawker Biplanes. 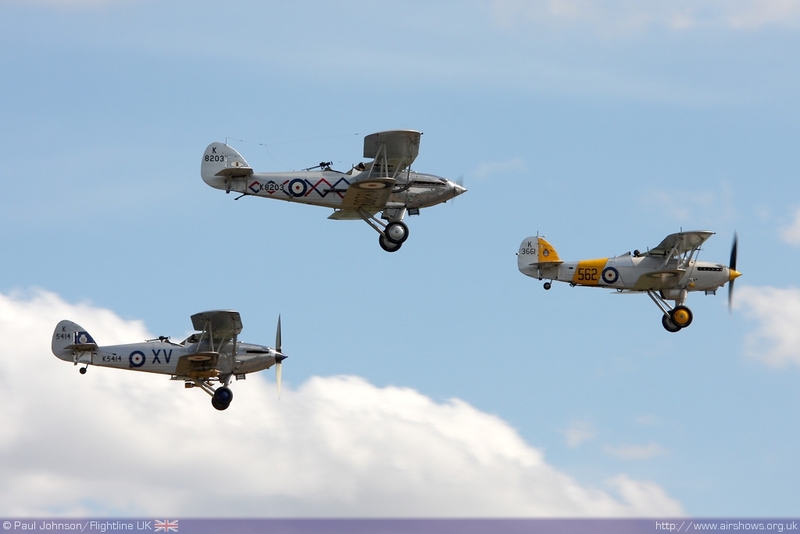 The formation was lead by HAC's Hawker Nimrod with the Hawker Demon and the Shuttleworth Hawker Hind off each wing. 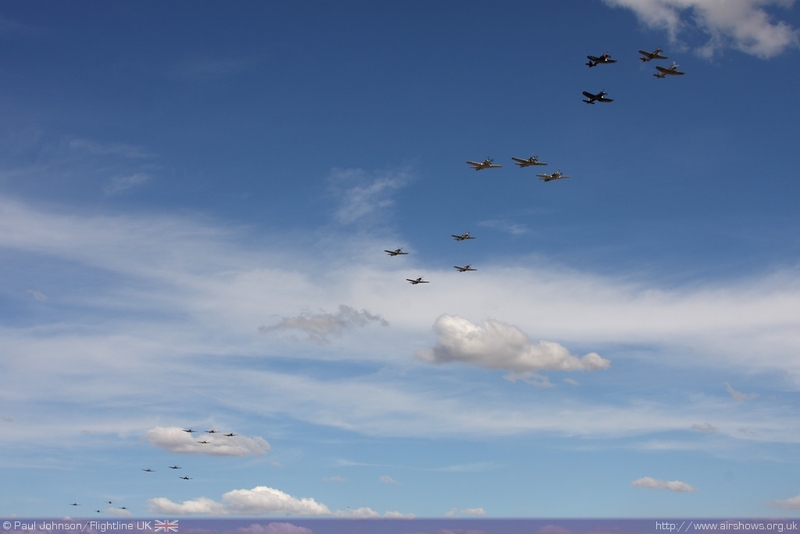 This was the first time since the late 1930's such a formation has been seen in public and was one of the golden moments of Flying Legends 2010. 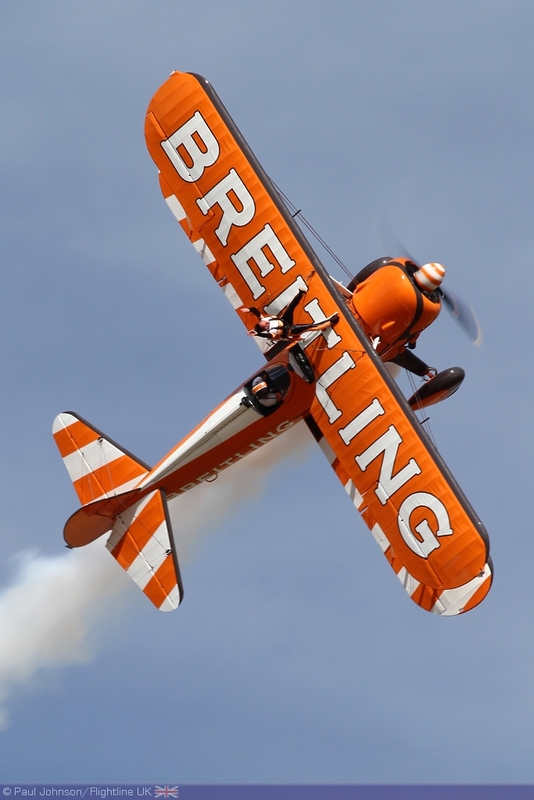 The Breitling Wingwalkers also provided a trip back to the 1920's and 1930's with their stunning art-deco Boeing Stearmans. 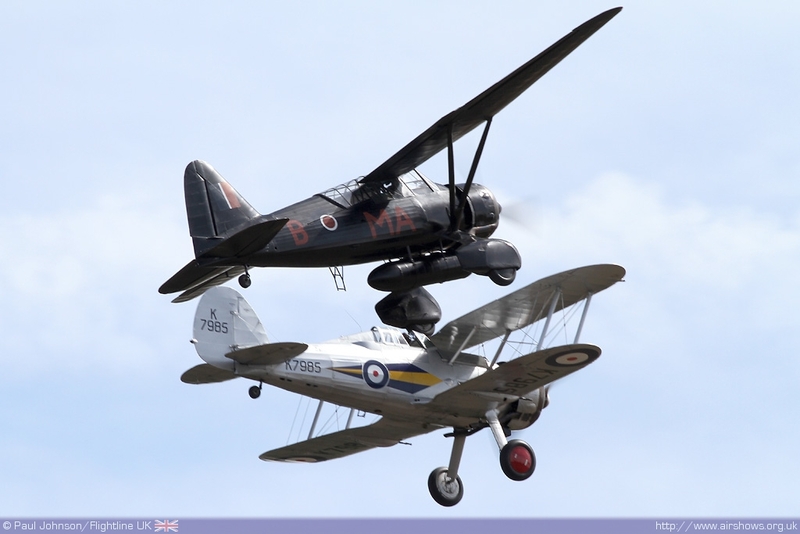 Appearing towards the end of the displays were two aircraft displaying on their own. 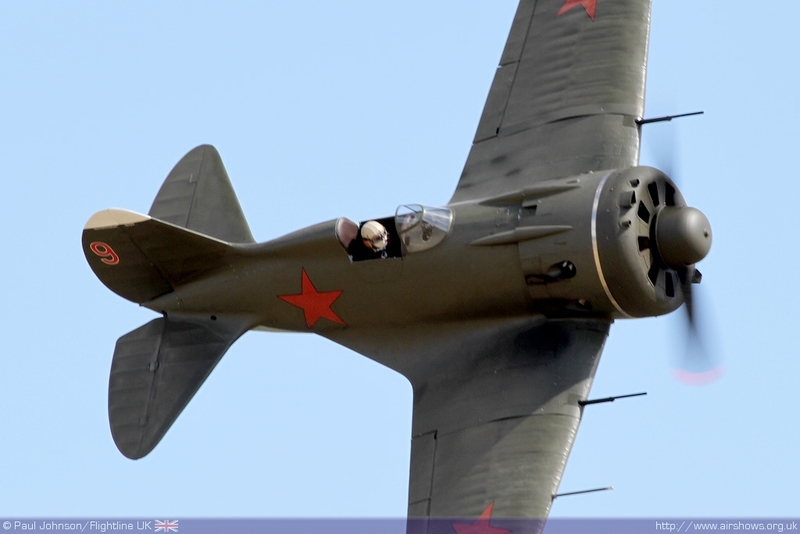 The first was the Morane D-3801/406 flown by Daniel Koblet. 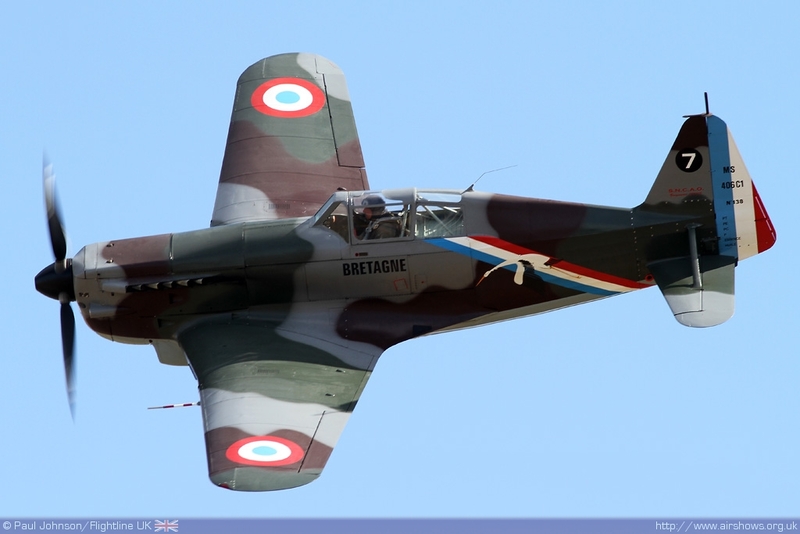 This is the only example in the world of this early war French fighter aircraft left. 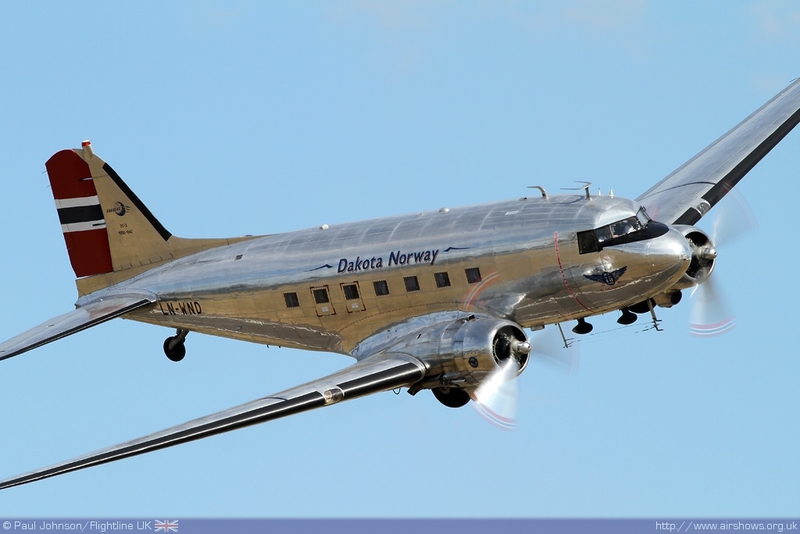 Also displaying as a solo was Dakota Norway’s stunning bare metal Douglas C-53D Skytrain which put on perhaps the best DC-3 display yet seen in the UK with some stunning climbing turns at the end each pass! But the stars of the show this year were the Russians. 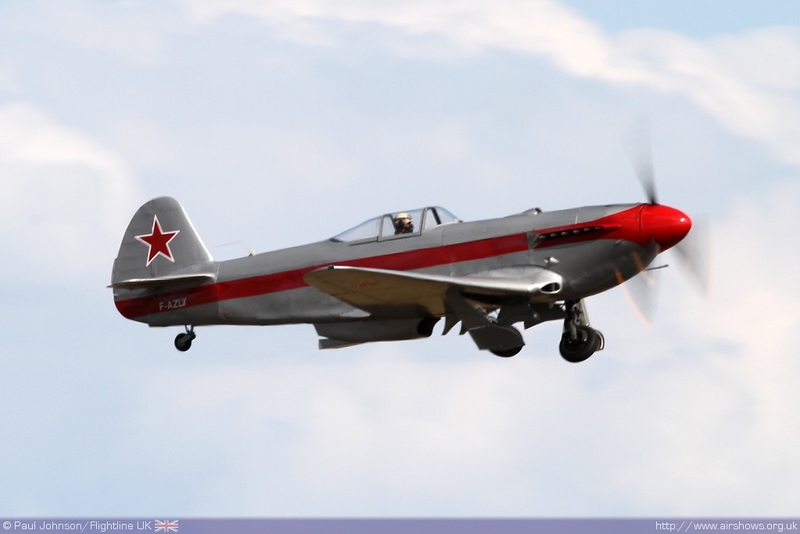 Kicking off the Russian theme was a trio of Yakovlev fighters; two Yak-3UAs from Chris Vogelgesang and Stephane Canu and a Yak-9UM from Paul Boschung. 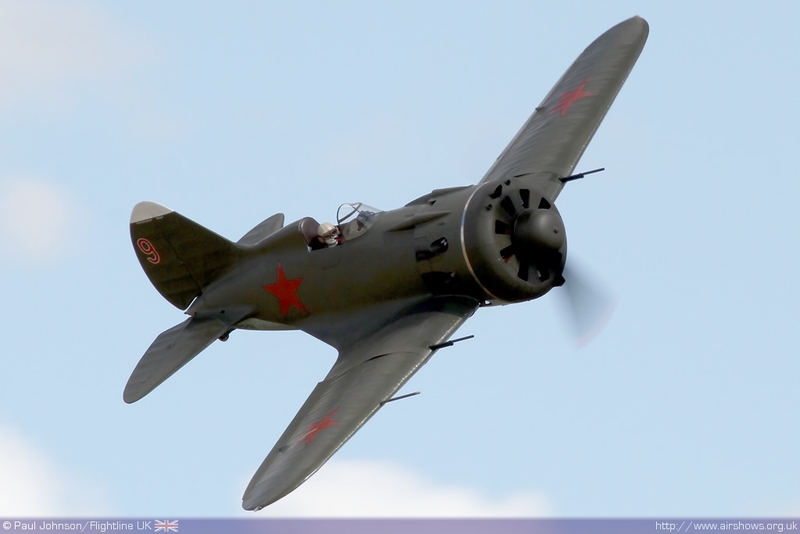 However, the star of the whole of Flying Legends was the Polikarpov I-16 "Rata" owned by Thomas Julch and flown by legendary pilot Jurgis Kairys. 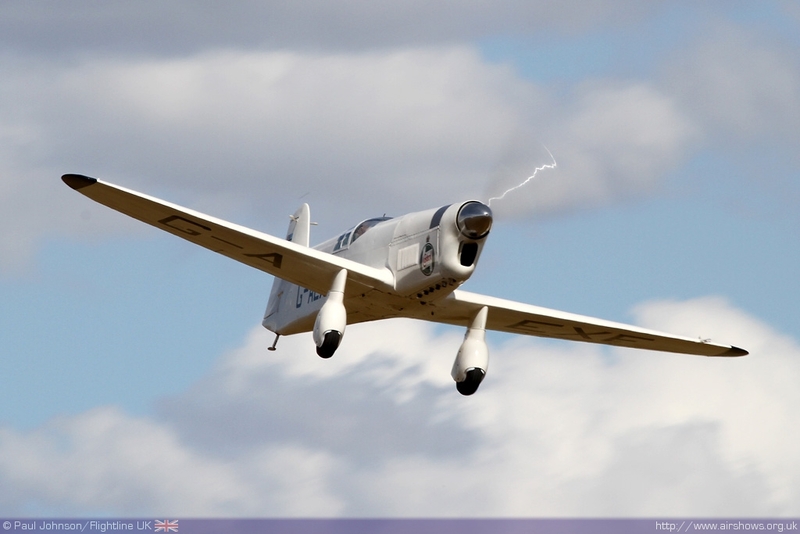 Jurgis put on a jaw-dropping routine highlighting the aerobatic potential of the little fighter. Pulling up into half-cubans, Jurgis flick-rolled the fighter two of three times over the top even completing an avalanche! 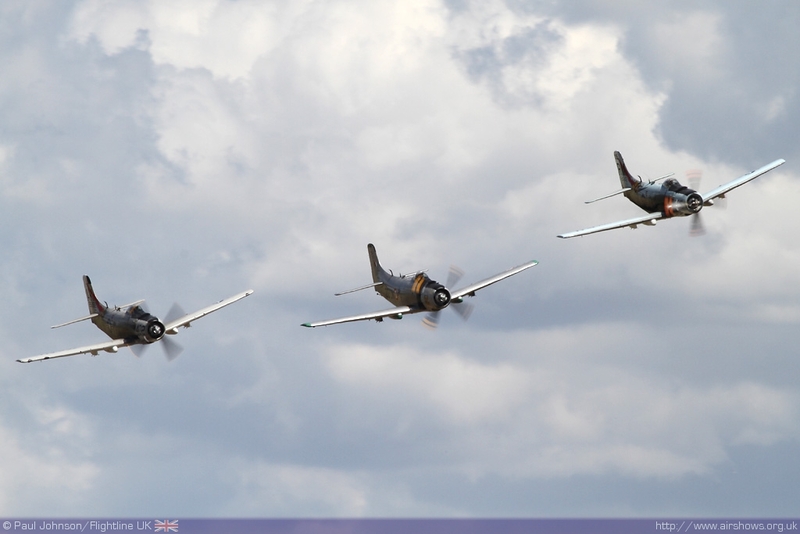 The traditional finale of Legends, the Balbo, saw a formation of around 26 aircraft over Duxford while Stephen Grey played the Joker in the F8F Bearcat. 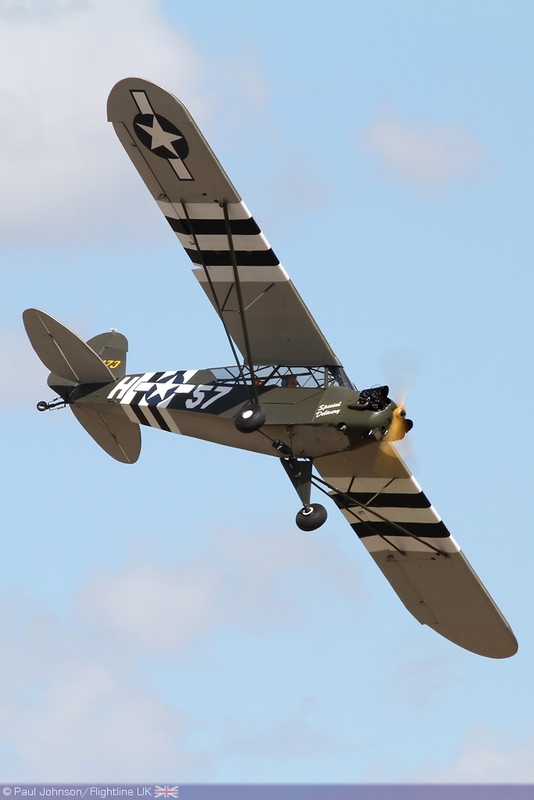 It was another stunning show with some outstanding aircraft and flying. Roll on Legends 2011!